Click on your profile icon on the bottom left corner of the interface. 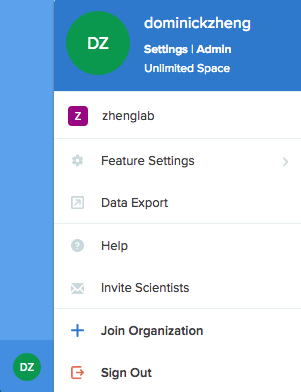 Select Feature Settings and Template Collections. 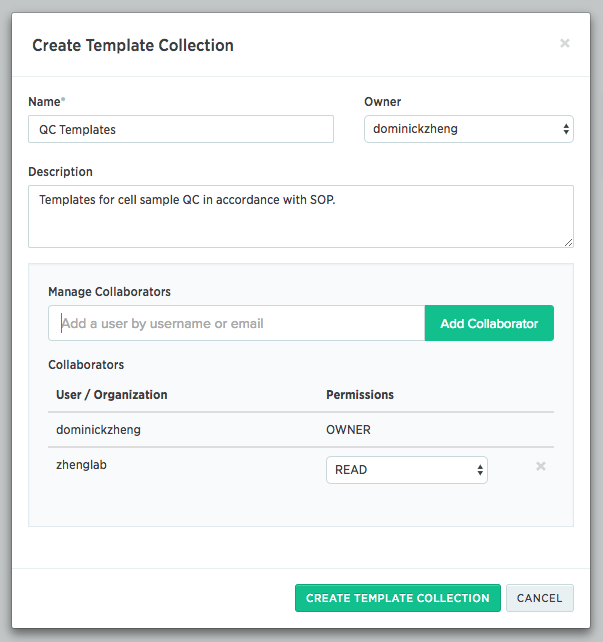 Click + New Collection to open a pop-up box from which you can specify the Template Collection’s name, owner, description, and permissions settings. Click the green Create Template Collection button to create the new collection.